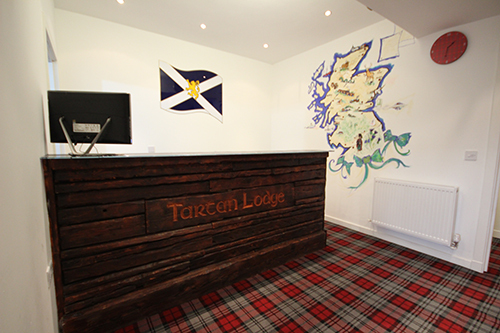 At Tartan Lodge Glasgow we endeavour to cater for every guest’s needs to ensure an enjoyable and comfortable stay. Should you wish to spend an evening indoors, we provide the following amenities. Here is an insight to what you can enjoy here at the Tartan Lodge. 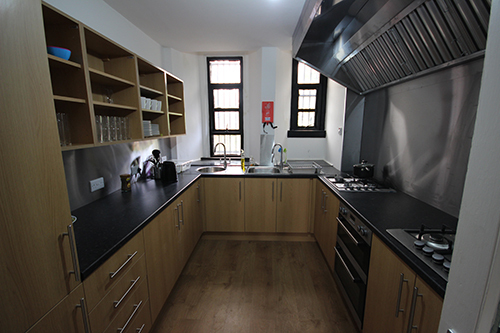 Cook your own meals in our spacious guest kitchen, fully equipped with essential mod cons such as microwave, gas cooker, cooking utensils, crockery and cutlery. For the consideration of other users, please ensure to clean up after cooking and wash dishes and cutlery after use. 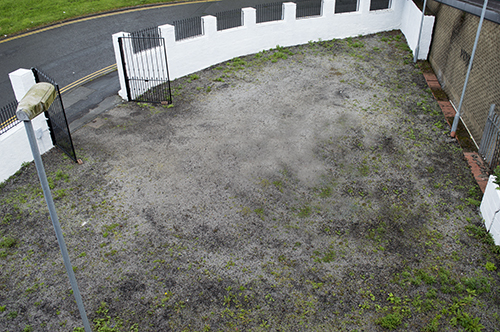 Private parking is available behind the Tartan Lodge with option of free street parking outside the hotel on both Townmill Road and Alexandra Parade. 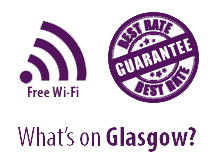 Share your experiences of Glasgow and Scotland with fellow guests in our spacious common room, featuring an LCD wide-screen TV to watch your favourite series or catch up on the news or footie. Freeview channels are available. 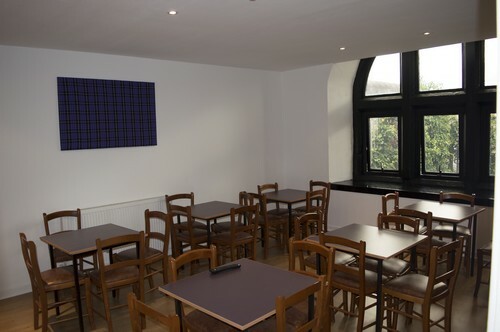 The common room enables guests to socialise with others in an informal, relaxed environment. Feeling thirsty or peckish? Choose a snack or drink from the vending machines. Looking for more privacy? 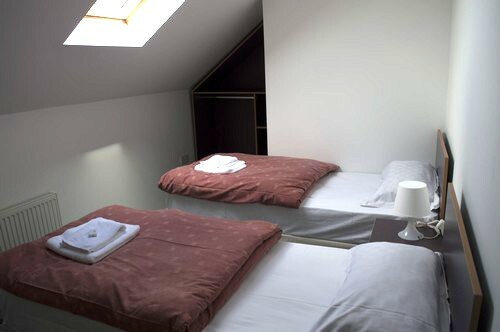 Tartan Lodge offers a selection of private rooms in the form of double and twin rooms. Our private rooms are cleaned daily to an impeccable standard and equipped with ensuite bathrooms with showers, LCD Tvs and tea and coffee making facilities. 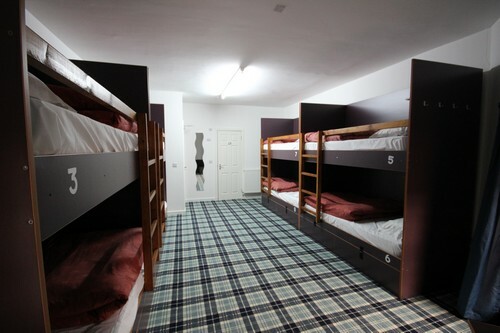 The Tartan Lodge has a selection of dormitories comprising of dormitories for male only, female only and for families. Guests have a choice of a 3, 4, 6 and 8 bed dorms equipped with premium quality bunk beds for a good night’s sleep. All dorms feature an ensuite bathroom with shower and sink. Please ensure to keep bathrooms clean after use to respect fellow guests. Our reception is open 24 hours thanks to our professional night porter who oversees the security of our hotel and safety of our guests. Our friendly daytime reception staff handles reservations and provides local information to guests. We stock a variety of leaflets and booklets on local attractions in Central Scotland.